Live in a monument - Luxury designer apartment of 42 square metres in Prora Solitaire, directly on the Baltic Sea (Flat Type "Princess"). 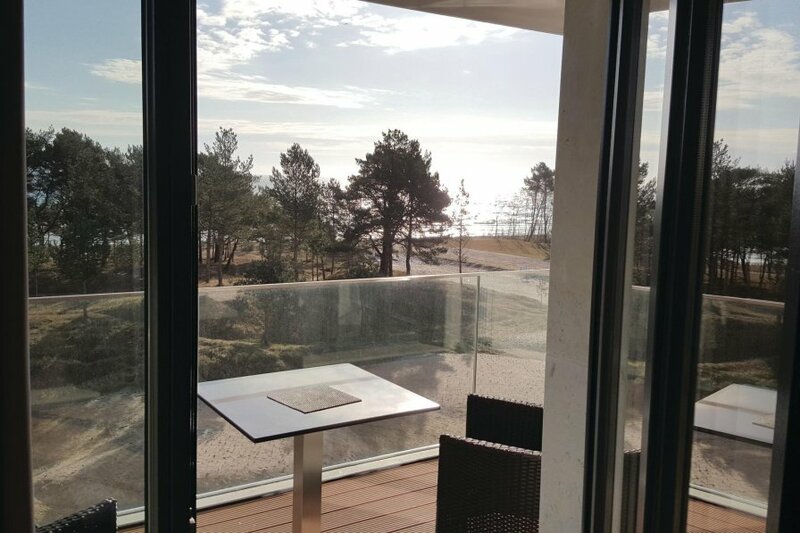 Live in a monument - Luxury designer apartment of 42 square metres in Prora Solitaire, directly on the Baltic Sea (Flat Type "Princess"). Situated just a few steps from the most beautiful beaches of Rügen, this is a special holiday home with upscale furnishings and offers relaxation and luxury in any season. One of the largest monuments of Germany has been transformed into a real holiday paradise. The resort has modern apartments with impressive design and stands right on the 7km long heavenly beach called Prorer Wiek that carries a Caribbean Flair on the chalk cliffs with crystal clear water. Along the beach boardwalk, there are cafes, restaurants and small shops to buy your daily needs. You will not only feel the fresh sea breeze and relax with a glass of wine on the private terrace, but also enjoy a cup of cappuccino in the private bar called Prora Solitaire in the morning or enjoy the sunset after a beautiful day on the beach. The apartment offers a classy atmosphere of indulgence and well-being. The perfectly matched exclusive furniture represent a lifestyle that combines harmony and elegance. Every piece of furniture and home accessory is carefully chosen - nothing has been left to chance. In order to create a particularly healthy indoor climate, anti-allergy materials have been used. The apartment is spread over 40 square metres and offers all the necessary facilities. The spacious open plan living area is sunlit, thanks to the large windows. You can also enjoy a fantastic view of the small pine forest and the turquoise waters of the Baltic Sea. The living room opens on to the balcony with high quality outdoor furniture. Here you can enjoy absolute relaxation! 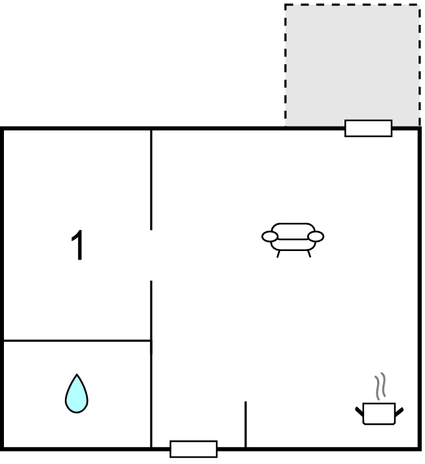 The separate sleeping area is equipped with its own TV set and is separated from the living room by a modern sliding door. The sofa in the living area can be converted into another comfortable double bed (1.60 x 2.00 m).In front of the holiday homes in Prora Solitaire there is a park-like garden with an outdoor swimming pool, a barbecue, lounge areas and native flora and fauna. The garden is exclusively for the guests of Prora Solitaire and a small pine forest acts as a screen between the beach and your private space. Prora Solitaire is an oasis for tranquillity of body, mind and soul throughout the year! All the guests of Prora Solitaire can make use of the spacious spa area which is open to all the guests. The home not only has a huge indoor pool with children’s pool but also has different varieties of sauna and relaxation areas, a gym with appropriate equipment and options for massages and other treatments that can be booked at the reception. A small car can be parked in the private parking of the resort at extra cost. All the guests can make use of the washing machine and dryer placed in the room on the second floor, for an extra charge.